The only inevitable thing in life, they say, is change. “After careful consideration and following discussions with the club, I feel it is the right time for me to step down at the end of the season. I am grateful for having had the privilege to serve the club for so many memorable years. 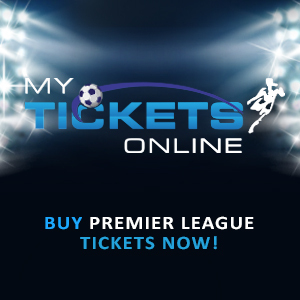 “I urge our fans to stand behind the team to finish on a high. “To all the Arsenal lovers take care of the values of the club. 1,228 games, 704 wins, 279 draws and 245 losses – these numbers will change as the season progresses with the Gunners having only seven games left in the campaign – or potentially eight games, which is dependent on the two legged result against Atletico Madrid. This also means that the Europa League, Arsenal’s first trophy in Europe for a long while, could potentially be Arsene Wenger’s last piece of silverware with the club, after the three Premier League titles, seven FA Cups and seven Community Shields he won for us. It has been one hell of a ride with Wenger, from being an unknown manager following his move from Nagoya Grampus Eight in Japan to being one of, if not, the most powerful managers in world football. We know how he revolutionized the English game and came up with innovations that made Arsenal a dominant force in the English Premier League, locking horns with Sir Alex Ferguson’s Manchester United for supremacy. The battles were so intense and the rest of England watched as Arsenal and Manchester United battled every season for the league’s biggest prize. Then there was the football – oh Lord, the mesmerizing and orgasmic style of play that could only be matched by the likes of Barcelona. Superstars rose to prominence and made themselves counted in the world stage, with the club’s finest ambassador, Thierry Henry, earning himself a place in two FIFA World Player of the Year Silver Awards (03, 04), one Ballon D’Or runner up award (03) and one Ballon D’Or bronze award (06), three EPL Footballer of the Year Awards. 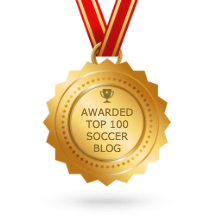 Then there were the consistent golden boot awards across several competitions and it all happened under Arsene Wenger’s guidance and tutelage. The transitioning from Highbury to the Emirates wasn’t easy but it needed the right man to stir the ship and Wenger was there to make it work. Yes, there were challenges associated with that move – debts to pay, players sold without proper replacements and the whole nine yards, but we still tried to compete, even though we fell short on several occasions and none hurts more than the 2006 Champions League final but nine years of a trophy drought changed to sheer elation when the Gunners won the FA Cup in 2014. 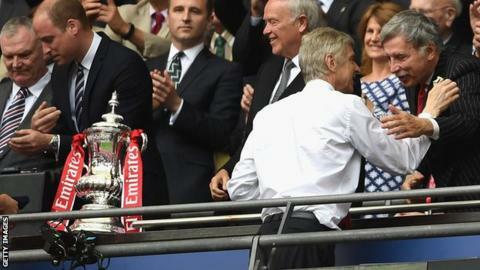 The trophy was retained in 2015 and the Gunners made history when they won the tournament last season, making Arsene Wenger the most successful manager in the competition. They say if you love someone, sometimes you have to let them go. Arsene is a man of honor that stayed with the club against all odds and remained loyal to his contracts. You can tell that Arsenal was a big part of his life and he gave the best of his abilities to the team for 22 years. You can’t fault that kind of commitment from an individual to his job. 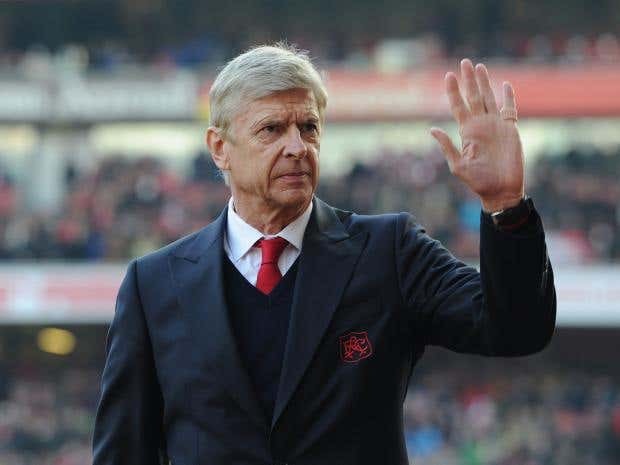 In the end, all we will have are very fond memories of what Wenger did for us in his time with the club and at this point we can only wish our appreciation for his endless years of service to the very club we call our own. The onus will be on the players to end the season on a high and I pray they rally themselves up to beat Atletico Madrid over two legs as well as the winner of the RB Salzburg vs Marseille match to give the boss the closing ovation he wholeheartedly deserves. Returning us back to Champions League will be a massive way to end what has been a tumultuous campaign for Arsene Wenger and his team. Here’s to Arsene Wenger – an epitome of longevity, loyalty and class. There are some things that are normal in life – England losing on penalty shootouts, Petr Cech failing to save a penalty, Harry Kane always opening his mouth during a game, Carlo Ancelotti raising his eyebrow during an interview. I guess you can add a Premier League manager earning himself a touchline ban following a rant about referees to this list. 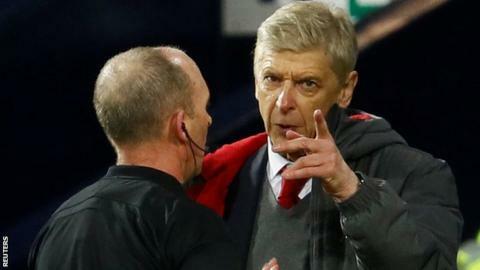 Arsene Wenger has been given a three match touchline ban as well as a fine for ‘abusive behavior and questioning the integrity of Mike Dean’ following his shitefest at the Hawthorns last week. I don’t want to re-visit the incident as I touched on it a few days ago, but I feel that something needs to be done about these referees and their terrible officiating in the Premier League. I went on Squawka the other day and was glancing through the 15 Worst Premier League Refereeing Decisions in 2016 and I wasn’t surprised one bit. In the Manchester City vs Everton game, Raheem Sterling was clearly scythed down by John Stones in stoppage time but Roger East waved the City penalty appeals away. There were many other incidents that turned out to be the difference between a victory and a draw but as always, the FA tends to turn a blind eye to referees incapable of handling their duties adequately. Watching the Tottenham vs West Ham game showed how Mike Dean was under pressure not to make any more high profile decisions as he has been under the spotlight in recent weeks. Yes, he’s the experienced ref from the lot but that doesn’t exempt him from their usual ‘demotion to the Championship’ following a poor outing. I even feel it’s totally unfair to the second division having a Premier League ref that is handling a match in their league because he performed poorly in the elite league. I’d prefer if that ref sits out a few games for a week or two, so that he can reflect on what he has done. The idea of having VAR in the Carabao Cup semifinals will be welcome. In the recently concluded pulsating encounter between Arsenal and Chelsea, Eden Hazard, hit the deck after Hector Bellerin clipped his heel but he held his shin like he’d been gunned down with a sawn-off shotgun. This is the kinda cheating VAR can easily spot and he’d be made to look like the fool for the remainder of the game, with the shame so much he would require a nun to follow him around the pitch and ring a bell Game of Thrones style. But no, we had to watch Anthony Taylor make a very poor refereeing decision to award a penalty to Chelsea, bring them back into the game. Hello VAR, where have you been all my life? Wenger would be unavailable for the FA Cup tie with Nottingham Forest, the Carabao Cup semifinal against Chelsea and the Premier League encounter against Bournemouth, but with the improvements in communication, I’m pretty sure he’d be able to communicate with Steve Bould to pass instructions accordingly. At least, Bouldy will do something more than just chewing his gum. Arsenal’s FA Cup opponents have wasted no time in offering him a cheeky hospitality invitation, to make his touchline ban a little more worthwhile. Maybe he’d stick to his word and attend George Weah’s inauguration ceremony or something. There have been banners, planes flying with messages, fans have aired their opinions, pundits and journos alike have shared their thoughts, even the players have said a thing or two but it’s down to the folks that can actually do something about it – Stan Kroenke and the Arsenal Board of Directors. It has been labelled as Arsene Wenger’s worst season in his 21-year stint with the club. He crashed out of the EFL Cup to eventual finalist, Southampton, but that competition isn’t high on Arsenal’s priority list, so the home defeat didn’t matter. Then there was the embarrassing elimination from the Champions League in the hands of Bayern Munich. Losing yet again in the Round of 16 for the seventh season in a row wasn’t news, but the manner at which the team crumbled against Bayern was a real cause for concern. For the first time in 20 ish years, Arsenal finished below fierce rivals, Tottenham, in the Premier League and failed to qualify for the Champions League for the first time under Wenger’s reign. However, the FA Cup triumph added some gloss to what was really a torrid campaign. There were several factors that led to the team’s poor campaign this season, which I really don’t want to dwell on, but I must admit that Wenger’s future played a role too. It was the discussion of the Press almost every other week even to the point where the manager stated that they lack creativity. The uncertainty surrounding his future was quite tiresome, but now that football is out of the way, it’s time to sort it out once and for all. The Board has to let everyone know their stance on the issue. If Wenger is staying, let them be clear on their expectations for the team and provide the funds he would need to buy world class talent. If he’s not staying, let them announce a succession plan, which would include the new manager and their aspirations for him. It was believed that there was a board meeting yesterday on this matter and I’m guessing we will get feedback in the coming days. Time for some closure on Arsene Wenger’s future.